One of the things I would LOVE to get back into is Scrapbooking! 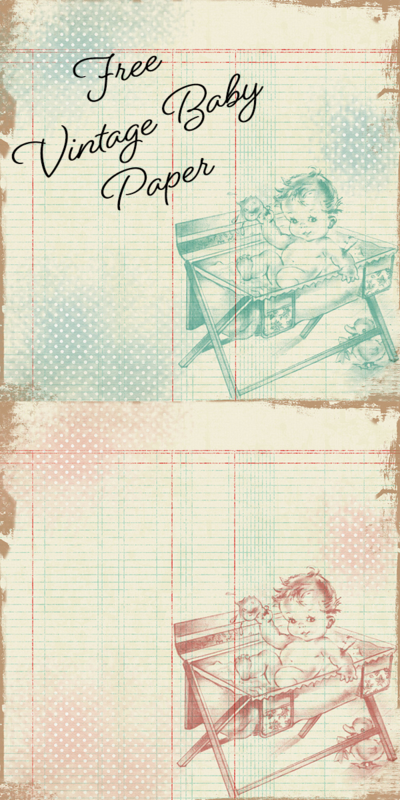 BUT for those of you that can, here are some Free Vintage Digital Scrapbooking Paper for you to enjoy! Aren’t they Precious!?! To Download Original Size Click HERE for the Girl version and HERE for the Boy version. Let us hold fast the profession of our faith without wavering; for He is faithful that promised..
Ahhhh! This is so cute! Thanks! Love them! Thanks for the sweet sharing! Oh my goodness! These are so beautiful! Thank you very much for creating and sharing with us!!! Thank you so much for all your beautiful printables. These are really beautiful!!! gorgeous…! !love love love them! thank you so much for sharing. THE cutest baby paper EVER! these are simply gorgeous!!! adorable! precious!!!!!!!!!!!!!!!!!!!!!!!!!!!!! you are just too good to us!!!! sending you and yours tons of hugs!!!! uhh, there so cute & chubby you just want to cuddly with them,or have your own…….. I also find it hard to have to time to scrapbook but these adorable papers have certainly gotten me in the mood. Thanks so much. Too Cute!!!!! Oh Keren, what a beautiful digital papers, they are incredibly nice, thank you very much for sharing. These are darling, Keren! Thanks so much for sharing! Super-duper cute! I love your style! Thank you for sharing!!! This is my new favorite website. I get goosebumps looking through all of your wonderful, vintage-inspired designs. I’m making a book for my mom, and I’ve already used several of these images in it. Thank you, thank you! aw you made my day! In english, thanks a lot, your website is really pretty, and so helpfull. I’m french, so sorry for the language mistakes. Thank you so much, they are some of the nicest I have seen! Does anybody know WHO created these lovely baby papers ????? Could you PLEASE ask the designer to make the same paper WITHOUT the baby boy or baby girl ??? It would make such a great background for all kind of projects with only the grid lines and distressed edges.